Meadow Glen is using Smore newsletters to spread the word online. Welcome to 6th Grade! Please read below for house news, upcoming assessments, and 6th-grade house highlights! These newsletters will be sent out every week on Friday! If you have any questions, or would like to volunteer to work at the Book Fair, please email Ms. Kohout-Tailor at jkohout-tailor@lexington1.net. Thanks! Would you like for your student to be able to go to a Fireflies baseball game for FREE? All they have to do is read 4 "just right" books from February 7th until March 30th. If they meet their reading goal, they will receive a free ticket to a Fireflies baseball game, a hot dog, drink, chips, and surprise while at the game! This is a great opportunity to have your student make a reading goal. Students can get their reading log from their ELA teachers, in the Learning Commons, and from the Learning Commons Schoology Course. The PTO has recently updated their email and we want to make sure you are receiving updates from us regarding events and volunteer opportunities. It is very likely we have lost some emails during the transition. Please check your junk or spam folders for emails from mgmsptogators@gmail.com and email us to be added or re-added to continue to receive updates. Volunteer sign ups will be sent out for Swamp Fest and Staff Appreciation. 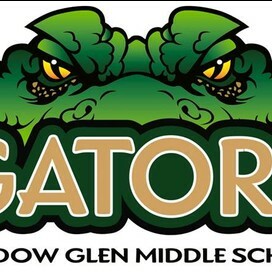 Save the date for Miss MGMS Gator Pageant! Saturday, April 21. This is our largest fundraiser for Relay for Life! More details to come. Your student is REQUIRED to have a T-dap vaccine to enter 7th grade in 2018-2019. If your student has already complied and received this required vaccine, please send in an updated immunization record. 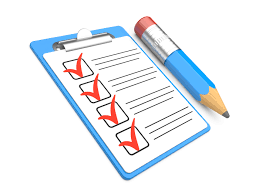 If you have any questions about assessments below, please email your child's teacher! ELA: All ELA Classes: Final Infographics are due at the end of class Monday, March 19. This will be a summative assignment with no redo opportunities. Thank you for sharing your children with us each day!